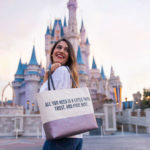 In early October, Disney Style teased a new collection of totes and bags by Kate Spade New York would be coming exclusively to Disney Parks. 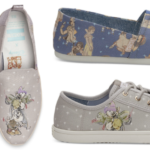 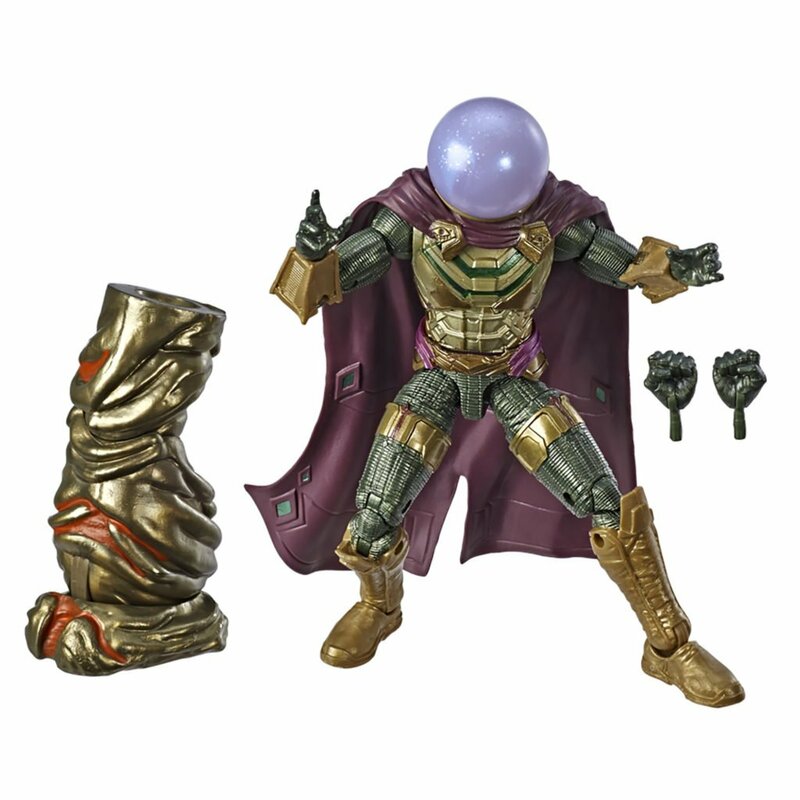 Now, this sweet collection has arrived on shopDisney. 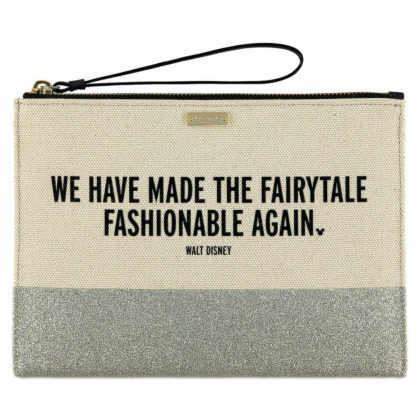 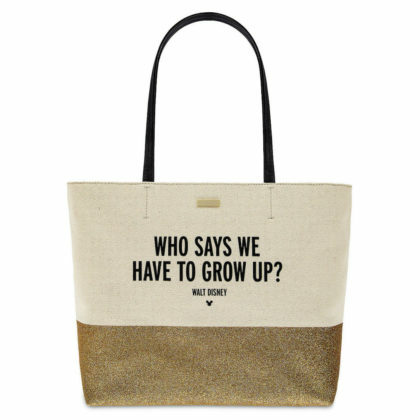 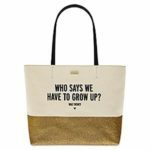 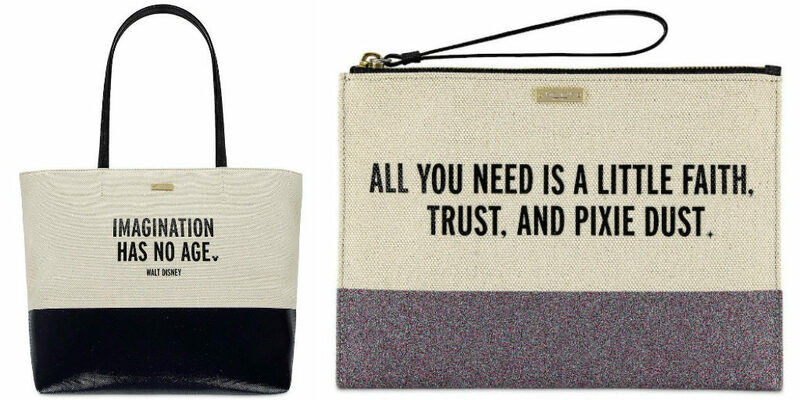 These simple yet elegant totes and clutches by Kate Spade New York feature sturdy canvas accented by a bold color block band, and a famous quote by Walt Disney himself. 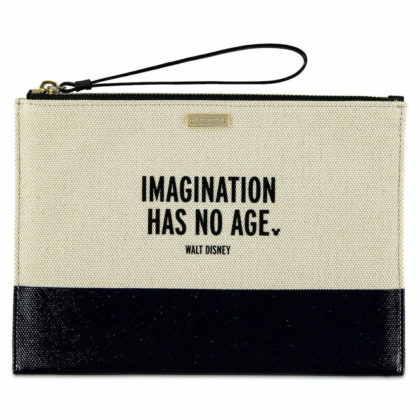 Look close and you’ll also spot a Mickey Mouse icon! 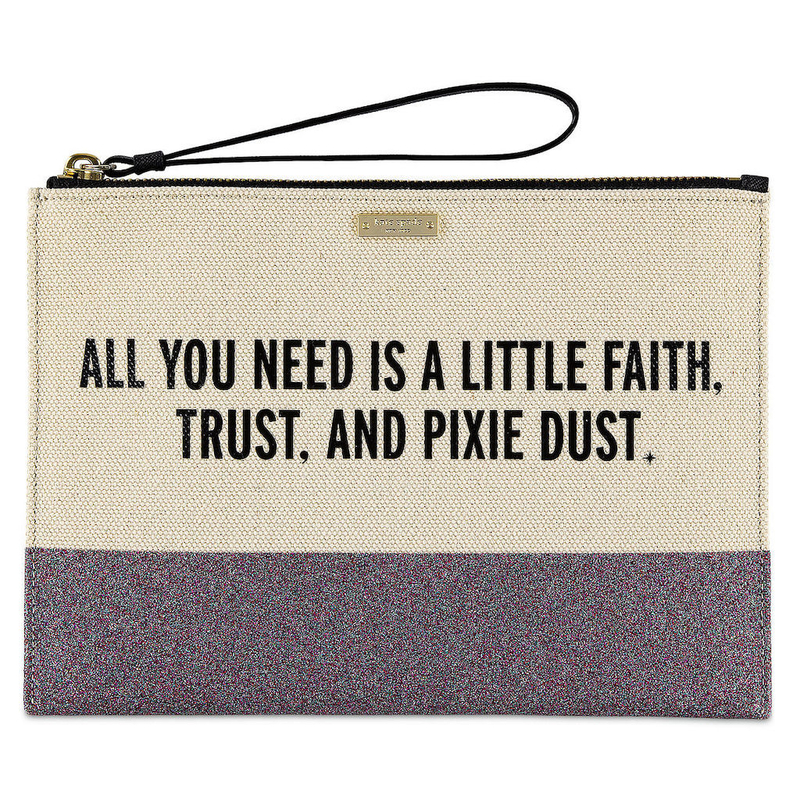 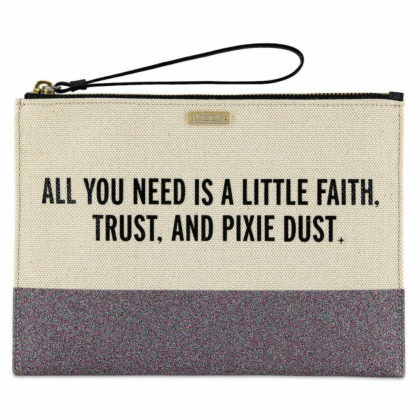 The child in each of us knows that magical combination of faith, trust, and pixie dust is what makes difficult days easier and happy days just that much cheerier! 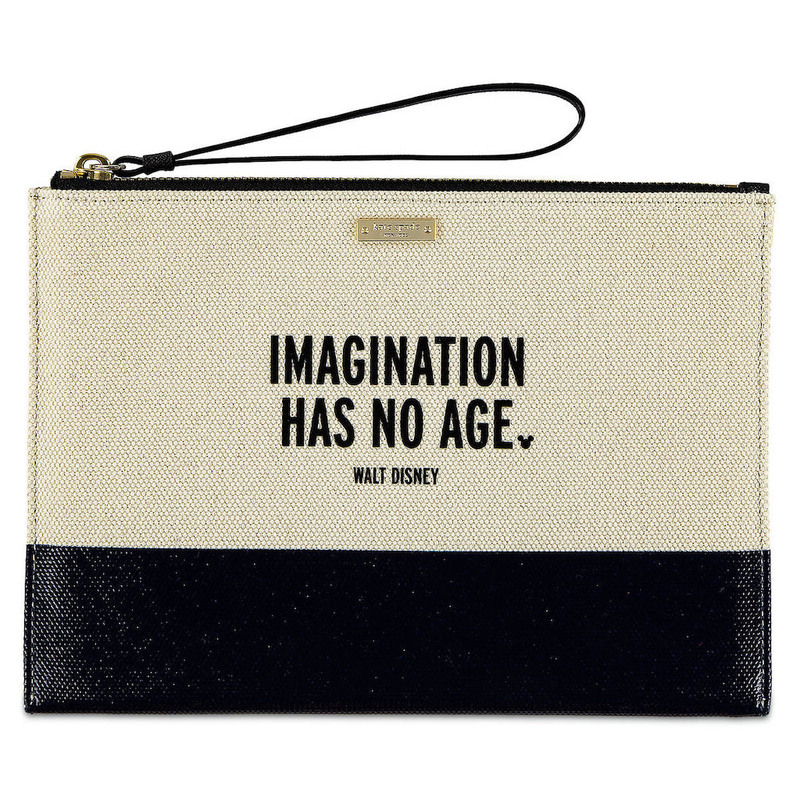 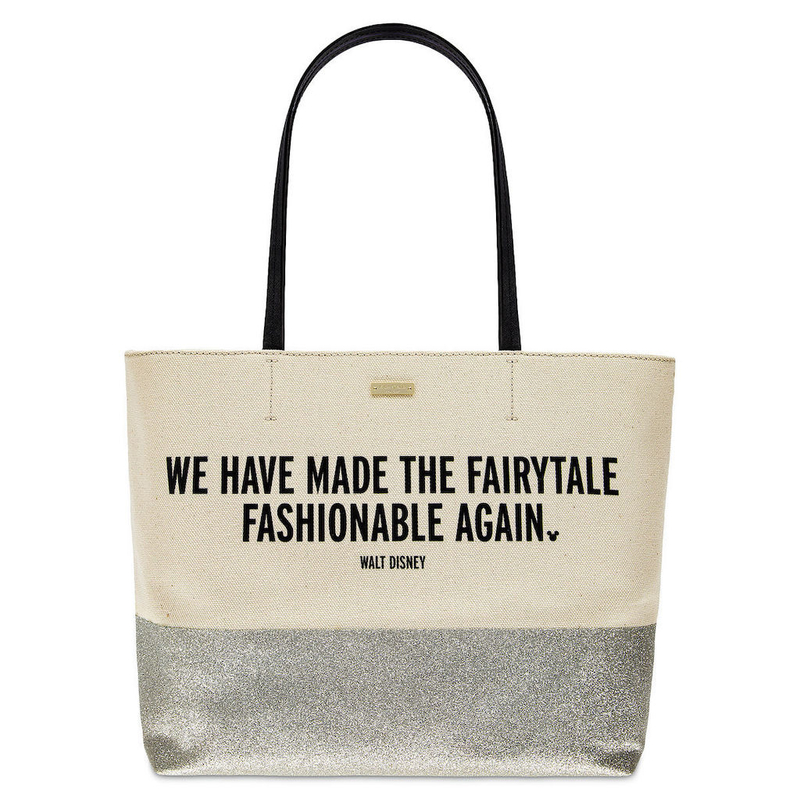 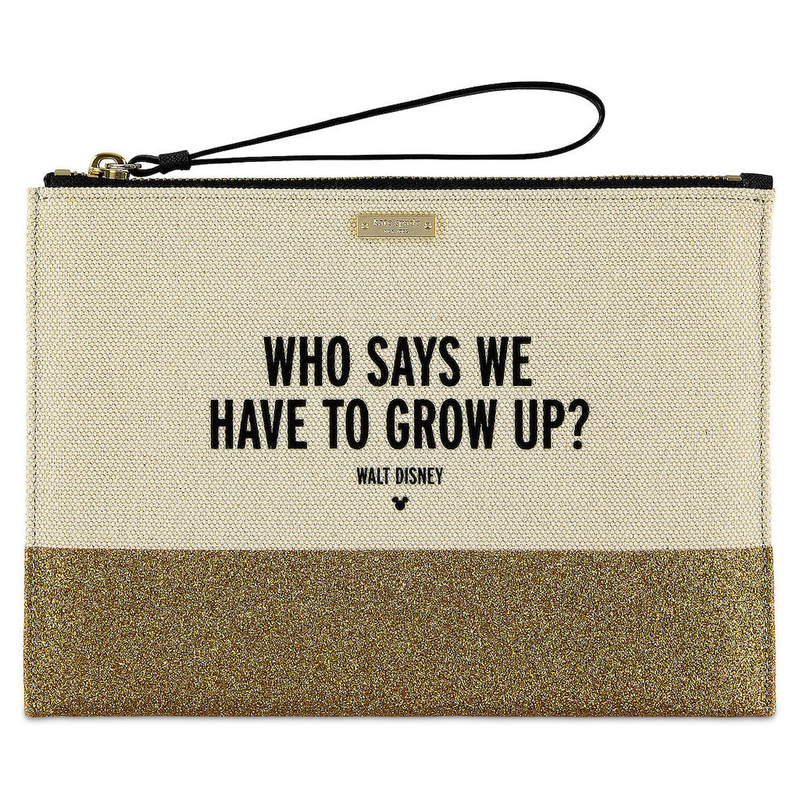 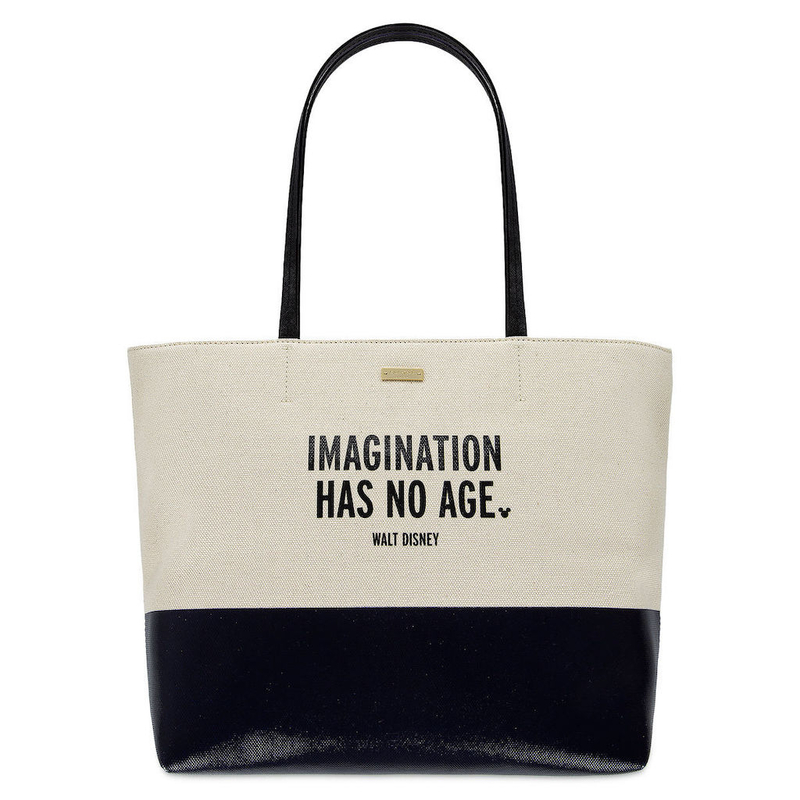 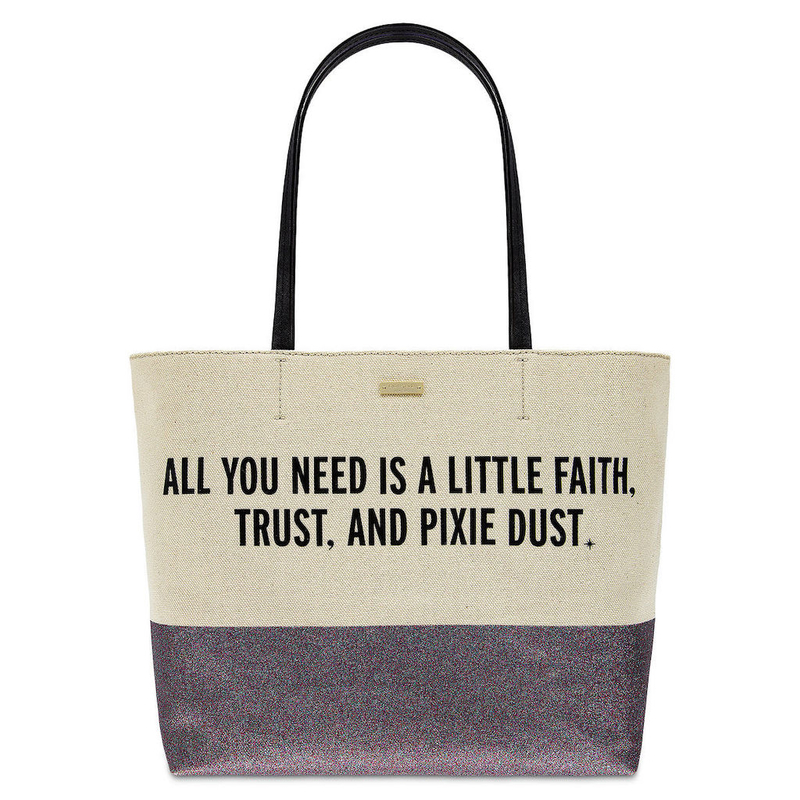 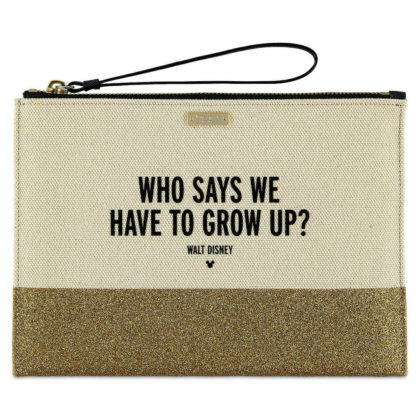 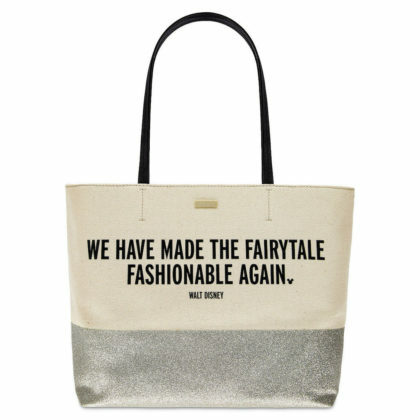 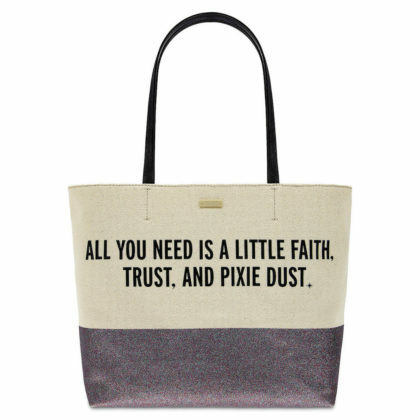 Featuring an iconic quote from Peter Pan, these delightful bags are perfect for wherever your journeys take you.